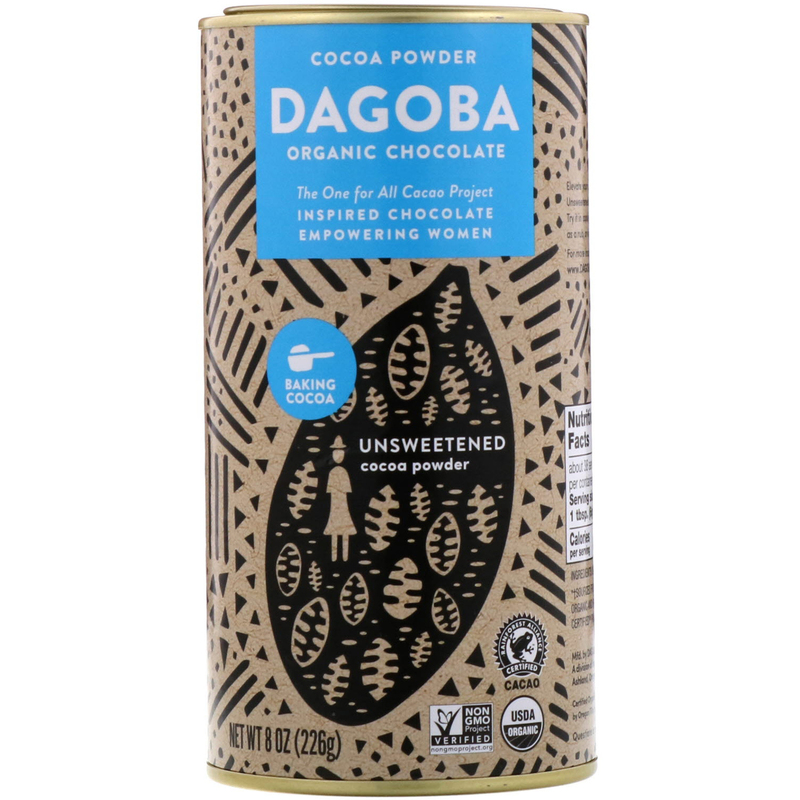 Dagoba Organic Chocolate Unsweetened Cocoa Powder is sourced from sustainability grown cacao from regions chosen specifically for growing beans with subtle notes of fruit and spice throughout Latin America and Tanzania. Appreciated by confectioners and bakers for its complex, deep flavor notes and performance in recipes, our Cocoa Powder can be used in both baking and cooking to stand out as the feature flavor in a rich chocolate dessert, or to add subtle, low notes of chocolate as an atypical enhancement to stews and sauces. Dagoba is committed to sustainability. 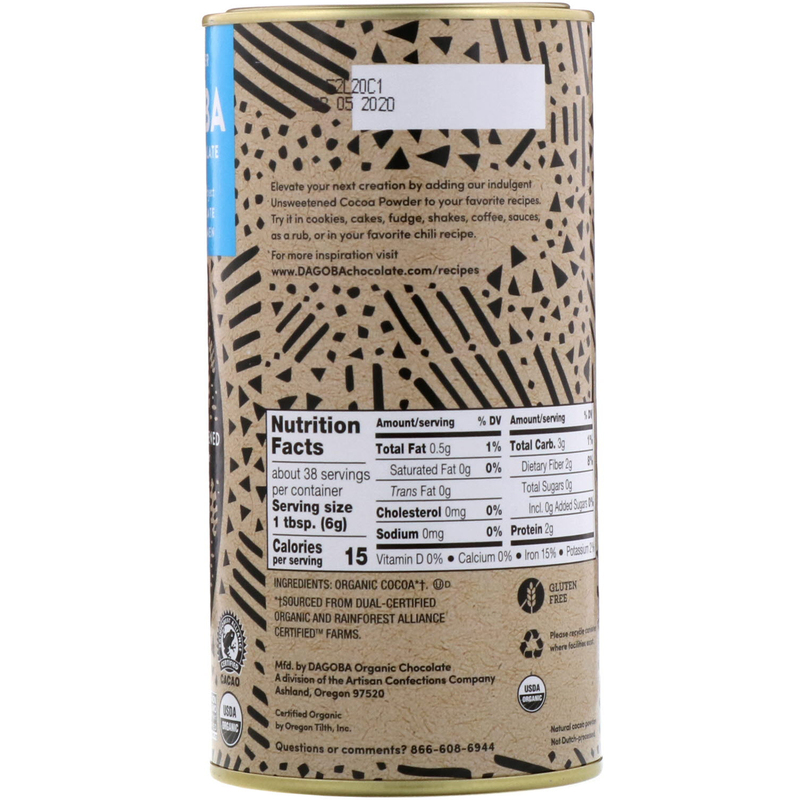 We source dually certified Organic and Rainforest Alliance Certified cacao from small family-owned farms and co-ops throughout Latin America and Tanzania, grown to benefit farm families, wildlife, and the environment. 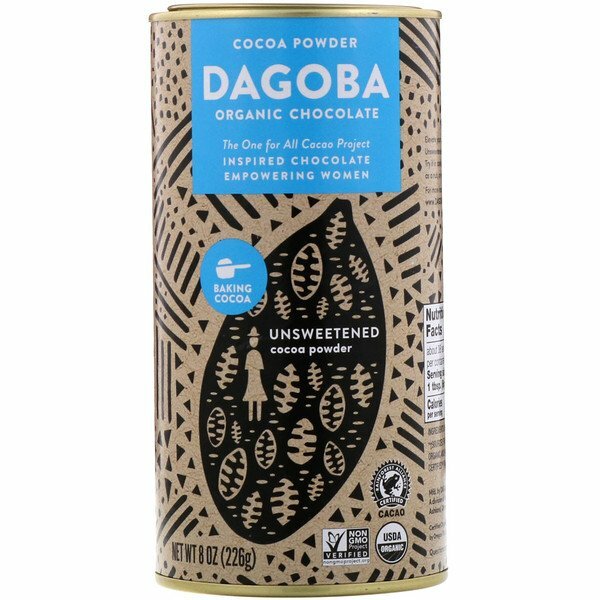 Elevate your next creation by adding our indulgent Unsweetened Cocoa Powder to your favorite recipes. Try it in cookies, cakes, fudge, shakes, coffee, sauces, as a rub, or in your favorite chili recipe.